It will be easy to point mistakes that were made in Ato Boldon Stadium on or around October 10th, but so many other things had to go wrong in order to get there. The US lost to Mexico in Columbus, a site that before then had been something of a curse for our southern neighbors. Then the trip to Costa Rica. A 4-0 slaughter showed the seams starting to come undone, both on the US men’s team and in American soccer culture as a whole. Jürgen Klinsmann lost his job and Bruce Arena returned to the manager position he had held a decade prior. Then, four months after the embarrassment in San José, the Americans turned in a decisive victory over Honduras. Things were looking up, the US was on a path to inevitable qualification once again. But things didn’t go smoothly from there. 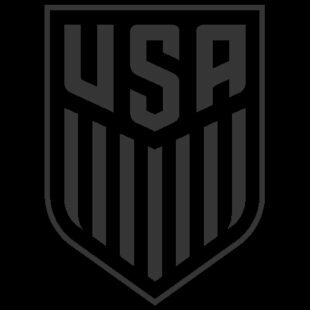 Away draws against Mexico and Honduras could seem to be something of a positive, but a loss to Costa Rica at home meant the US entered the final international break of qualification with two must win games ahead of them. The first, against Panama in Orlando, was a surprise success. The biggest hurdle to the US making an appearance in Russia was cleared with a decisive 4-0 victory. The last stop was Trinidad & Tobago, where the US needed only a single point to secure automatic qualification. Considering the Soca Warriors had already been eliminated from contention, there was reason to feel confident. But that’s not what happened. The US fell 2-1, and Honduras and Panama picked up surprise victories. In the end, it’s the result this team deserved. In a game that should have been an easy win, not a single US player showed an ounce of creativity. Or even interest in playing competitively. They were played off the field by a team comprised of players primarily from Trinidad & Tobago’s domestic league. There will be a lot of discussion about the lack of desire and drive shown by the US players, as there should be. But the simple fact is that if you can’t get the ball past a keeper that plays for a club simply called “Police”, you don’t deserve to face actual competition. The sports radio hosts, foreign-league snobs, and “Big Four Sports” fans have all been proven correct. The US is not good at this sport. Maybe there will be a silver lining to all this. Most of the dead weight will have to be skimmed from the player pool. No doubt there will be a few empty desks at the US Soccer House as well. There have been calls for change for some time, and it’s hard to see how change cannot come after an embarrassment of this magnitude. This could even be the fire that drives a 23 year old Christian Pulisic to new heights next World Cup cycle. But we will have to wait to see if any of that happens, and almost five long years to wait to see if any of it pays off. Yes please. We should buy that 100 copies of that book and deliver them to USSF headquarters. Tannenwald going off on @SoccerToday. I. I believe. I believe that. I believe that we. I believe that we will. I believe that we will LOSE. I believe that we will LOSE. I believe that we will LOSE. This was comment on todays WSJ article: Missed out on 2 Olympic Games and now the WC. Something is very wrong and needs to be fixed big time. US Soccer is one of the richest Federations. Either they are corrupt or inept. We just lost against a Federation that did not even heave enough money to put the players’ names on their shirts. Saying that the U17 team is doing very well is not the solution. U17 US teams have always done well. The problem is what happens with these kids between 17-23; that development is mismanaged and needs to be addressed ASAP. Gulati and his cronies also need to go and this Federation needs a lot more accountability. The missed Olympics are the canary… this is worse. To steal a comment from another site, “The USA could have beaten either Trinidad or Tobago, but not both of them.” Clearly, there is skulduggery afoot.